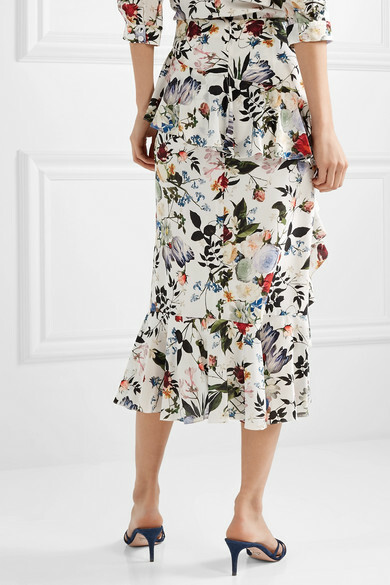 Erdem Moralıoğlu is certainly no stranger to colorful floral motifs - the beautiful one printed on this 'Roselia' skirt is inspired by Victorian botany during the 19th century. 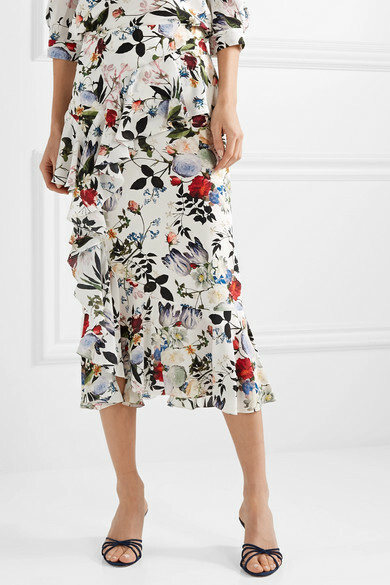 Made from silk crepe de chine, it has a ruffled trim that cascades from the mid-rise waist to the midi hem and is underpinned with a chiffon lining for coverage. 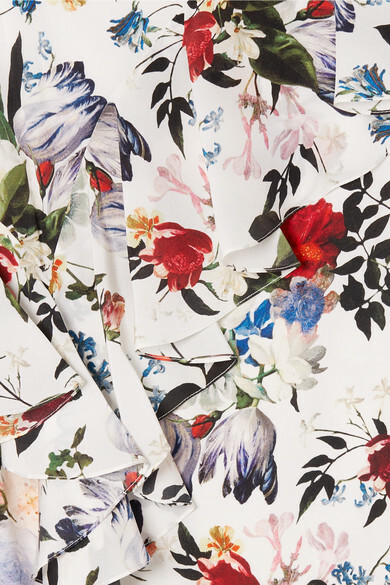 Wear yours with the matching 'Elin' top and mules. 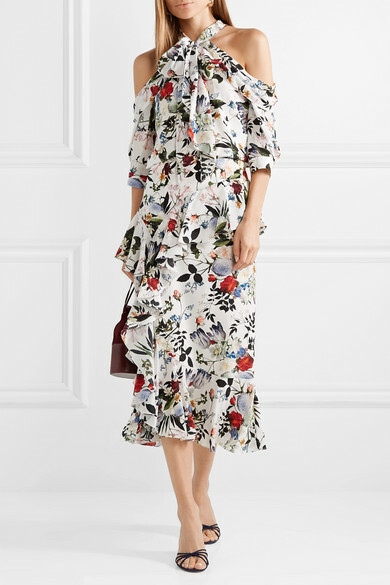 Shown here with: Hunting Season Shoulder bag, Prada Mules, Chloé Earrings.